Former Black Business Council president Danisa Baloyi. Danisa Baloyi was allegedly suspended on Thursday. 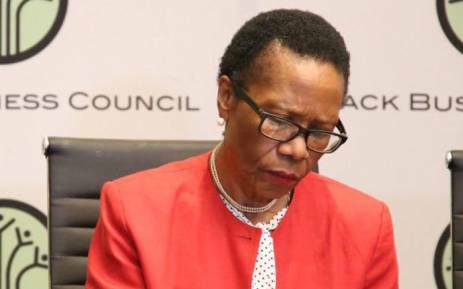 The Black Business Council said on Monday it had suspended its president, Danisa Baloyi, pending an investigation into a missing R5-million donation. The black business lobby group said last week that Airports Company South Africa (Acsa) had confirmed making the donation, but that the money was not deposited into BBC’s bank account. On Monday, it said a decision had been made on Thursday to suspend Baloyi. “Amongst other key conditions of suspension included (is) the requirement that Dr Baloyi not conduct any activities in the name of the BBC until the matter has been concluded,” it said. Baloyi’s deputy Gilbert Mosena would act as BBC president in the interim. BBC is a key advocate of the government’s transformation programme aimed at giving blacks more control in an economy still dominated by minority whites as a result of South Africa’s racially divided past.